Abrar Ismail, M.D., is a family practice physician with experience directing complex medical conditions by making recommendations for improvements in treatment for patients. He sees patients from adolescents to adults for treatment of acute illnesses, management of chronic conditions such as high cholesterol and high blood pressure, and sees patients for physicals, well woman exams, and in-office minor procedures. He obtained his medical degree from the American University of Caribbean School of Medicine in St. Maarten, Netherlands Antilles, and earned a Bachelor of Science in biochemistry from the University of Houston. Dr. Ismail believes in lifelong learning and stays up to date on new guidelines, recommendations, and treatments by reading medical journals and taking continuing medical education coursework. His patient-centric practice involves personalized attention and visits designed to forge a doctor-patient bond based on open communication. He combines this approach with advanced diagnostics and comprehensive screenings. 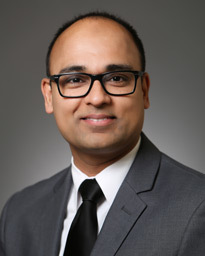 Dr. Ismail is board certified by the American Academy of Family Physicians and the Texas Academy of Family Physicians. He is fluent in Urdu. In his spare time, Dr. Ismail enjoys art, fishing, and spending time with his family. Dr. Ismail practices at Memorial Hermann Urgent Care Friendswood.